2nd OFFENSE. FAILED FIELD SOBRIETY TESTS. "Joe is quick, smart, and fast. The way he speaks just blows you away. He made all the right decisions and got 2 very incriminating statements I made thrown out at a pretrial motion. That enabled us to get a not guilty verdict despite the cop's testimony that I failed all the field sobriety tests. Good thing, too, my wife was 4 months pregnant and I kept my job. I highly recommend him." Damian was stopped for straddling lines and admitted to 4 beers. He had a strong odor of alcohol, glassy, bloodshot eyes and could not stand on one leg more than 5 seconds in 2 tries. I stressed to the jury he had no trouble producing his license and registration, exiting the car and walking perfectly normally to where the field sobriety tests were done. Though it was midnight, the cop never asked him if he had worked all day, was tired or nervous. After the not guilty jury verdict, I convinced the judge to restore his license immediately. Client was found alseep at the wheel after stopping at a green light. He admitted to drinking, 3 officers testified he was intoxicated, his speech was slurred and that he failed all the field tests. 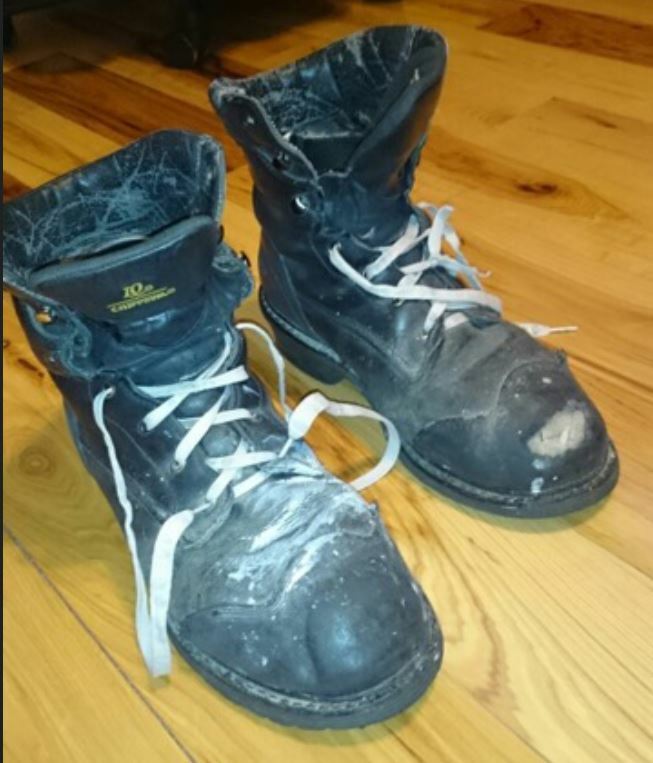 I brought the heavy work boots he wore that night to court and held them up to show the officers. None of the officers could remember whether he was wearing them until they were seen on the booking video. Not guilty. 'HONORED TO HAVE HIM REPRESENT ME. Client was measured by LIDAR at 94 mph, didn't pull over quickly, failed 2 of 3 field sobriety tests then told trooper, "I know I screwed up." I stressed to jury that he passed the ABC test, had no slurred speech, and told the officer he had a bad back but was made to do the two balancing tests anyway. The officer said everybody on the jury could do the tests perfectly. I saw 3 jurors look down and smile and asked, "How could you possibly know that for sure, officer?" He sheepishly answered, "Well, most of them probably could." Point taken. Not guilty in ten minutes. I was arrested for my 2nd offense and speeding 61 mph in a 40 zone. I admitted drinking three beers, taking Adderall and that I felt the effects of the alcohol. The Sergeant testified I failed the one leg stand and nine step walk and turn test, was red faced and had glazed eyes. Joe stressed to the jury all the things I had done right while driving. I avoided having to install a breathalyzer in my car, an additional two year license loss and over $5000 in various fines and fees. I've got my license back and am driving again. Call me and I'll tell you the truth: Joe is, quite simply, an awesome Massachusetts OUI Attorney. He always let me know what was going on with my case and was always on time to Court. After reviewing all the road block documents and the police reports, he told me he had a good chance to get my case thrown completely out of Court. At his Motion to Suppress Evidence, that’s exactly what happened. The DA jumped up and down but the Judge agreed with Joe! "HE SAVED MY LIFE. I WAS DEAD GUILTY." "He's quick, smart, and fast. The way he speaks just blows you away. ; He made all the right decisions: got 2 incriminating statements thrown out at a Motions Hearing. ; I'm driving again and kept my job after the not guilty verdict despite the cop's testimony that I failed all the field sobriety tests on my 2nd offense. Good thing, too, my wife was 4 months pregnant. I highly recommend him." -- AND I MEAN EVERYBODY!" I was in a bad accident, faced my 2nd offense and was looking at five years without a license but now I'm driving again. Thank you for representing me. I will think twice before I make my next lawyer joke. I can't imagine what might have happened if I didn’t have such a thoroughly prepared Massachusetts OUI attorney. My client was in a bad accident and taken to the hospital where a blood draw was performed showing he was over the legal limit. Plus, he admitted he was drinking a beer at the moment the accident happened. At my Motion to Suppress, this statement was thrown out. Then at Trial, the blood result was excluded and we won a Not Guilty on both the OUI -2nd offense and the Open Container charge. CLIENT: "IF I DIDN'T ADMIT I WAS DRUNK, WOULD YOU STILL HAVE ARRESTED ME"
Charged with his 2nd offense, client was stopped for speeding 71 mph in a 45 zone and straddling the fog line. After failing 2 sobriety tests and admitting to 4 drinks, he made the above statement to the cop at the station after being arrested.